The absence of non-recognized breeds from the pedigree. Examples of non-recognized breeds include Appaloosa, Morgan, American Paint Horse, Quarter Horse, Saddlebreds, Standardbreds, Mustangs, Friesians, Andalusians, Lipizzaners, pony breeds, etc. Note: The progeny of horses in the Auxiliary book will automatically receive Auxiliary book papers. The same will apply to CP book horses. The Auxiliary Book (Blue Papers) is reserved for horses with simple issues, sometimes solvable, at the time of registration. If all the requirements of the main book are not met, the horse might be eligible for the Auxiliary book. The Certificate of Pedigree Book (Yellow Papers) is reserved for horses that require registration but do not have the necessary information, parentage or required approvals from their sire or dam. The NAS still believes that these individuals need to be registered and be able to compete. As long as age can be verified, the NAS will be able to assist you with the registration of your horse. NAS does not recommend to breed the horses that are registered in the CP book prior to consulting with the office. To register foals and your horses in the NAS main registration book, the foal/young horse must be sired by an approved stallion and be out of a dam who has received breeding approval with the NAS. An “approved stallion” is defined as an NAS-licensed stallion or a “Foreign” stallion approved by the NAS office. Foreign stallions that the NAS will consider providing registration papers for include a stallion approved by an NAS-recognized WBFSH registry, the Jockey Club OR the Arabian Horse Association. NAS recommends that all foals/young horses be inspected. NAS understands that there are occasions when it is difficult or no possible to bring a foal or young horse to an inspection site to be registered. . Accordingly, foals/ young horses can be registered without attending an inspection. Simply contact the office and we will assist you with the registration process of your horse. Once a young horse reaches the age of 3, it has be inspected and assessed using the Mature Horse scoring method to be approved for breeding. Foals that do not meet these requirements can still be issued registration papers. See rules for more information or contact the office. 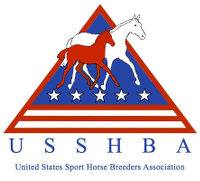 Many horses in North America have gone unregistered for various reasons, many of which are beyond the control of the breeder and/or the current owner. It is the assertion of the NAS that there is a great deal of valuable blood in North America that is going untapped, both in terms of breeding and performance tracking simply because horses are not registered. The NAS would like to help with this problem by working with owners to uncover and verify pedigrees and enable owners to present and register their adult horses, provided they meet NAS requirements. The NAS offers different options for these horses. See the rules or contact the office for more information. Horses of two years and older will be evaluated using the Mature Horse scoring method consisting of one required phase (referred to as the Core inspection) plus two optional phases, the jump chute and/or an under saddle test (for horses 4 years old+). During the Core phase, the horse’s type, conformation and gaits (walk, trot and canter) will be assessed and scored. The height of the jump chute will be based upon the age of the horse. All foals, young horses and non-registered adult horses eligible for the Main Registration Book that receive a satisfactory score at their original inspection (minimum “Pass” for foals/young horses or 6.5 for Mature Horses) will be issued registration papers. Horses aged 3 or older are eligible for immediate branding. Foals/Young horses (2 and under) will need to be inspected using the mature horse scoring system to be eligible for breeding and/or for branding. All foals, young horses and non-registered adult horses eligible for the Auxiliary or CP Registration Book that receive a satisfactory score (minimum “Pass” for foals/young horses or 6.5 for Mature Horses) will be issued registration papers. Mature horses will be eligible for immediate branding, while foals and young horses will need to return at the age of 3 for inspection as a mature horse to be eligible for branding. Any horse, whether eligible for the Main or Auxiliary Registration Book that receives a score of “Fail” or less than 6.5 will be issued a Certificate of Pedigree and will not be eligible for branding; they will, however, be invited for re-inspection the following year (as long as they were not failed for a genetic defect). Reasons for receiving a score of “Fail” as a young horse include a visible genetic defect (i.e., Parrot Mouth), serious leg alignment issues, club foot, etc.